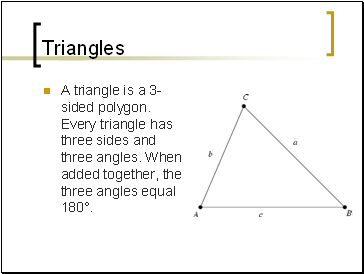 A triangle is a 3-sided polygon. 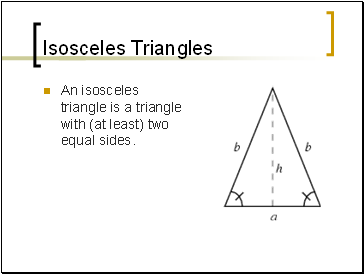 Every triangle has three sides and three angles. 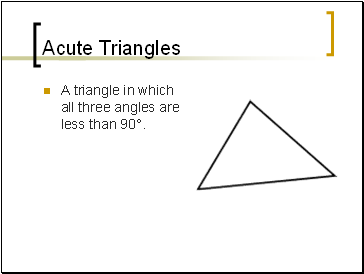 When added together, the three angles equal 180°. 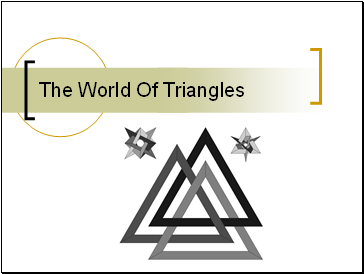 A triangle in which all three angles are less than 90°. 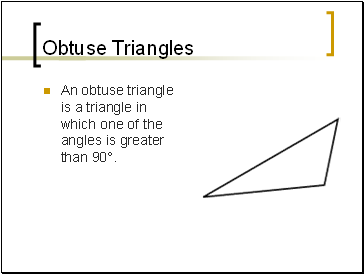 An obtuse triangle is a triangle in which one of the angles is greater than 90°. 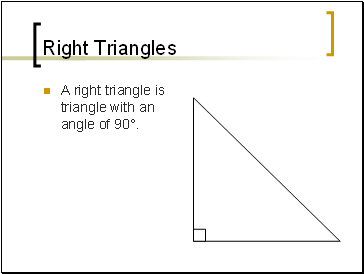 A right triangle is triangle with an angle of 90°. 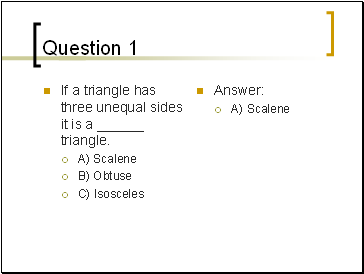 A triangle with three unequal sides. 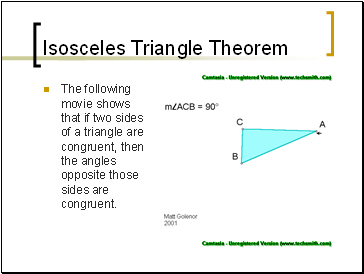 The following movie shows that if two sides of a triangle are congruent, then the angles opposite those sides are congruent. 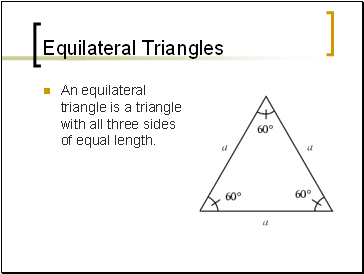 An equilateral triangle is a triangle with all three sides of equal length. 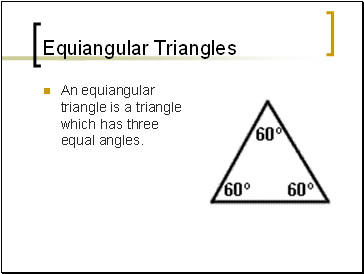 An equiangular triangle is a triangle which has three equal angles. 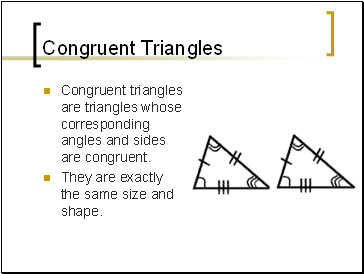 Congruent triangles are triangles whose corresponding angles and sides are congruent. 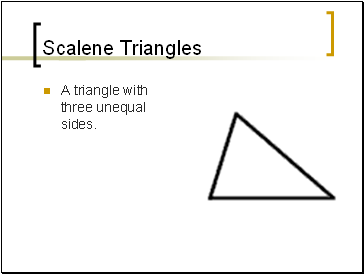 They are exactly the same size and shape. 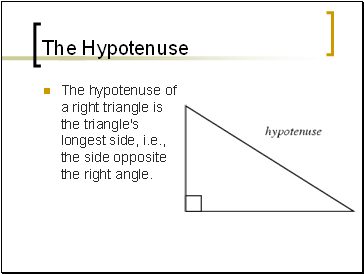 The hypotenuse of a right triangle is the triangle's longest side, i.e., the side opposite the right angle. 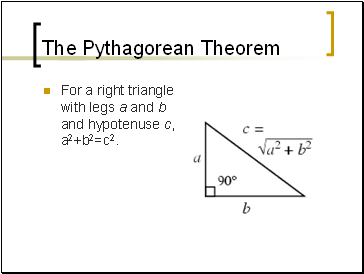 For a right triangle with legs a and b and hypotenuse c, a2+b2=c2. 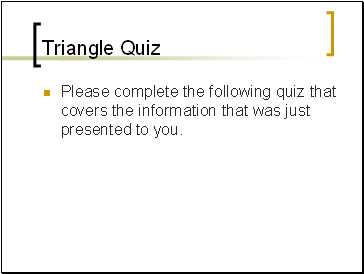 Please complete the following quiz that covers the information that was just presented to you.